I SEE YOU SHIVER WITH ANTICIPATION? It’s Friday the 11th of July and the international Day of Archaeology! This is the day when hundreds of archaeologists around the world share their secrets, their pleasures and their work in a blog post (web diary). You can follow it on the website or on the Twitter with hashtag #dayofarch. Why wouldn’t you? Is that a rod microlith in your ziplock or are you just happy to see me? My own contribution requires you to observe the Captain’s illuminated seat belt sign, place your tray tables in the upright position and strap yourself in for some Mesolithic turbulence (sic) ahead. 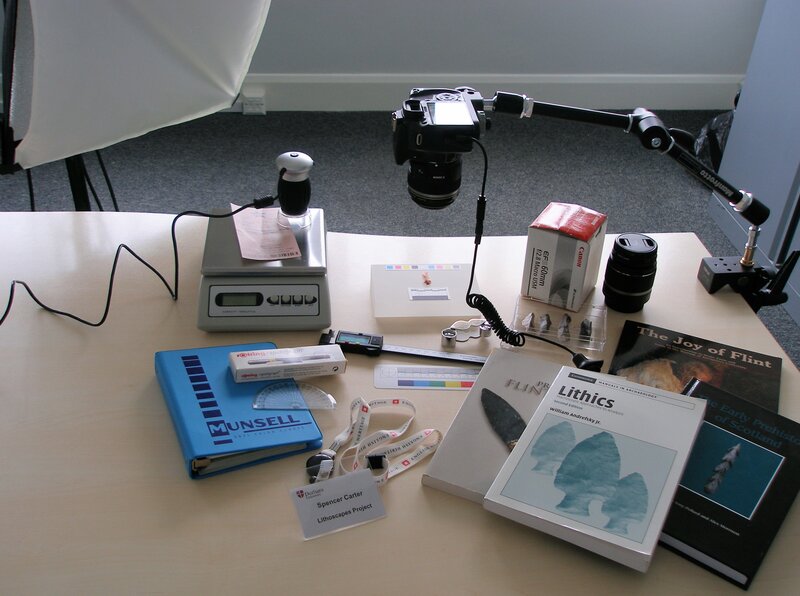 I hope you also enjoy the lithicist’s toolkit, clamps, slabs, scales, calipers (digital don’t you know), a protractor and a neat little USB x200 microscope. I also won £1.50 on the illustrated Lotto ticket and I shan’t be sharing. This entry was posted in British archaeology, Hunter-gatherer-fisher, Lithic analysis, Mesolithic, Projects and tagged Archaeology, Day of Archaeology, Mesolithic, North York Moors, Prehistory, Yorkshire by Spencer Carter. Bookmark the permalink.